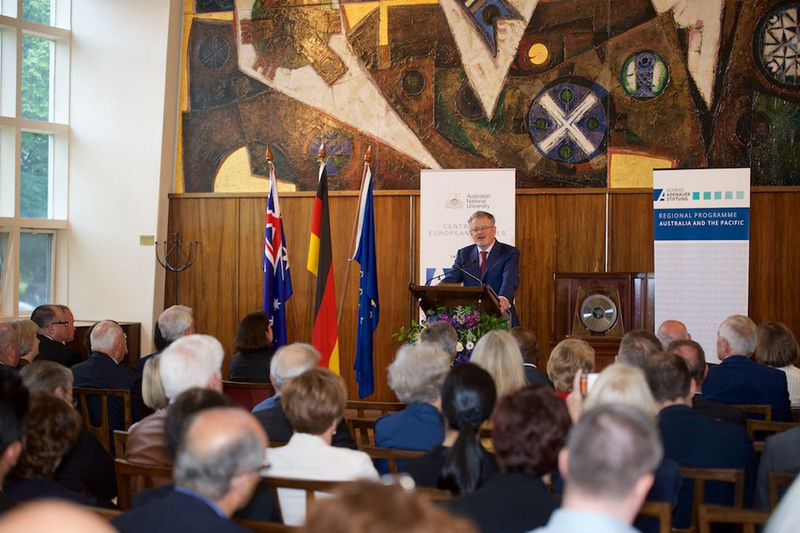 The ANU Centre for European Studies in partnership with the Konrad-Adenauer-Stiftung Australia and Pacific was delighted to host University of Cambridge Regius Professor of History, Professor Sir Christopher Clark, for the second annual Konrad Adenauer Lecture on 15 November 2018. Entitled 'Uncertain Times. 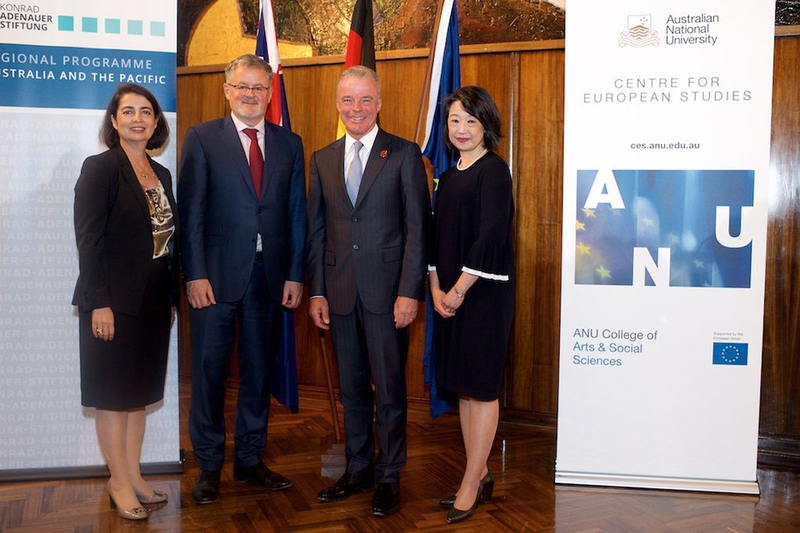 Germany, Europe and the World Order', Professor Clark's lecture explored the reemergence of authentic global multipolarity, the impact of the global financial crisis on Europe, and the decline of the narratives that used to help western states plot their course in history. 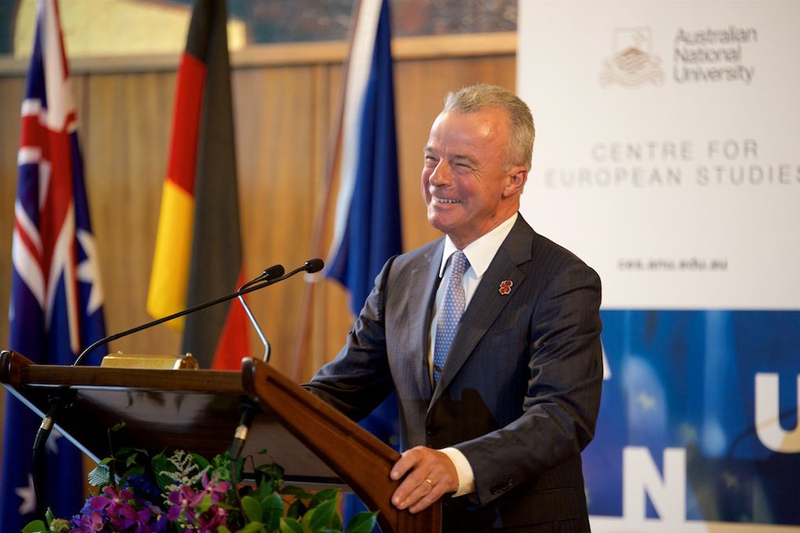 Featuring The Honourable Dr Brendan Nelson, Director of the Australian War Memorial, and Distinguished Research Fellow of the ANU Centre for European Studies, the lecture attracted over 250 guests, including representatives from the diplomatic community, government, academia and the general public. 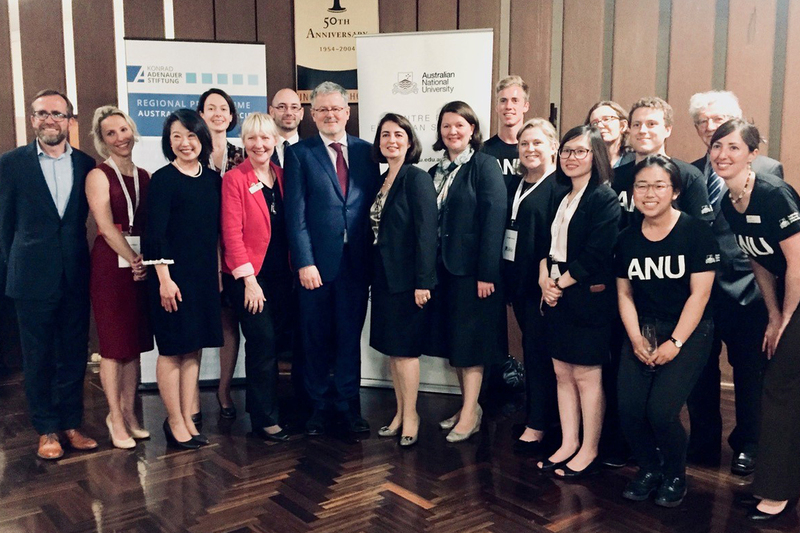 It took place in the beautiful hall at University House, Canberra. Listen to an interview in German with our speaker Professor Sir Christopher Clark on SBS, recorded just before the lecture.